“ European aviation giant Airbus has announced that it is ending production of its jumbo A380 aircraft,” as India Today is reporting. “The announcement of the end of the A380, the world’s first fully double-deck passenger jet, comes in the same month that the original ‘Jumbo Jet’ Boeing’s 747 turned 50. “The Airbus A380 had for long faced a lack of commercial interest. The aircraft was costly to make and not many airliners were interested in buying it. Airbus acknowledged as much in its announcement that it was ending the production of the A380. “… we have no substantial A380 backlog and hence no basis to sustain production, despite all our sales efforts with other airlines in recent years,’ the aircraft manufacturer’s CEO Tom Enders said in a statement. Airbus said that the Dubai-based Emirates, which has made A380 its flagship aircraft, is the only airline with which Airbus has an order backlog for the A380. “Airbus will cease deliveries of the A380 in 2021,’ the company said in its statement. ‘The A380 is not only an outstanding engineering and industrial achievement. Passengers all over the world love to fly on this great aircraft,’ CEO Tom Enders said. “The announcement brings to an end a grand European dream to build and sustain the ultimate long-haul aircraft. The A380, which can seat more than 500 passengers, was launched just a decade ago. 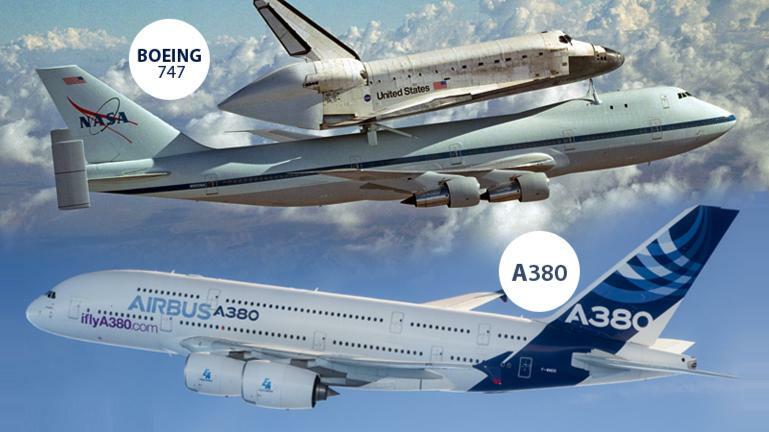 “A380’s end will definitely be a boost for Airbus’s American rival, Boeing. Boeing had managed to monopolise the long-haul market with its iconic 747, which first took to the skies five decades ago. “The A380 was seen as Airbus’s answer to the 747, which, if you were not aware, is the plane the Indian prime minister flies on. The rest of the article is here.